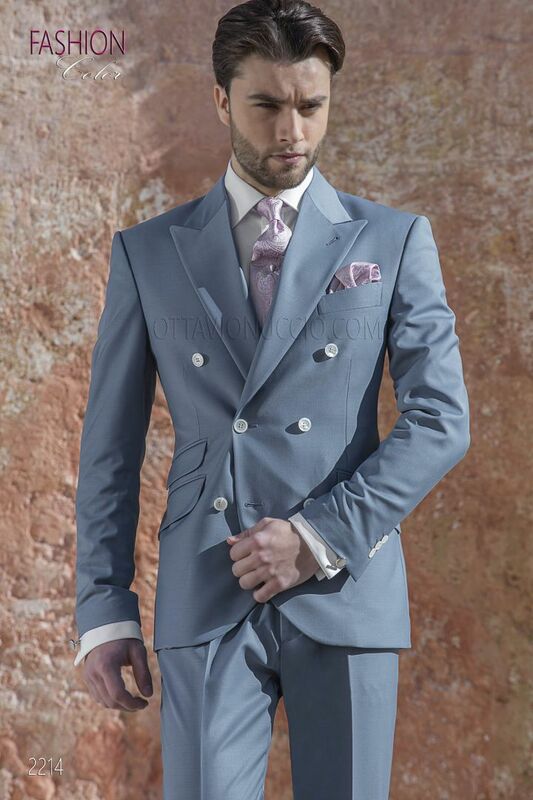 Double-breasted suit made from light blue wool blend fabric. Peak lapel with 6 mother-of-pearl closure. Flap pockets and... Double-breasted suit made from light blue wool blend fabric. Peak lapel with 6 mother-of-pearl closure. Flap pockets and straight buttonholes. Twin vents at back. 3 patterned buttons at cuffs. 8.5cm tie and handkerchief set made from pink jacquard silk paisley pattern. Handmade.